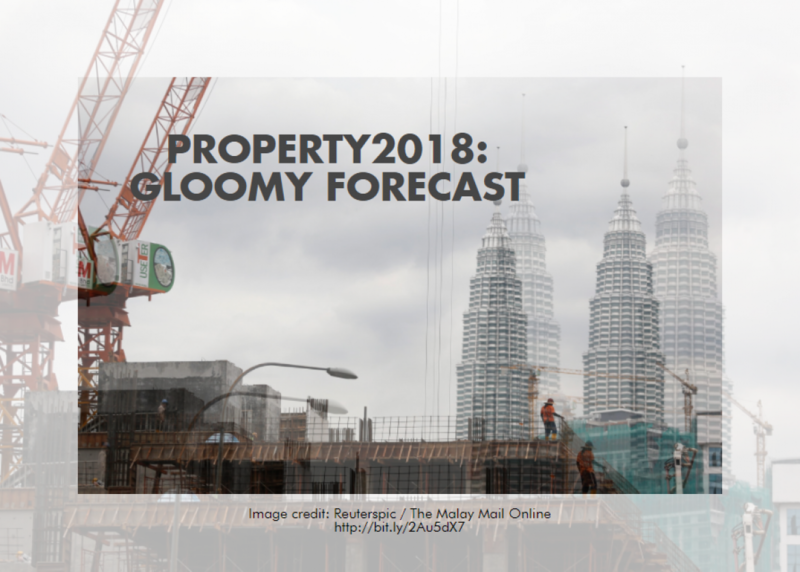 Despite positive economic growth, the year 2017 saw Malaysia struggling to shrug off a severely weakened currency, international infamy due to the 1MDB scandal, and a declining property market. While the ringgit has rallied, bursting through the start of 2018 at a high, the outlook continues to look bleak for the local property sector. 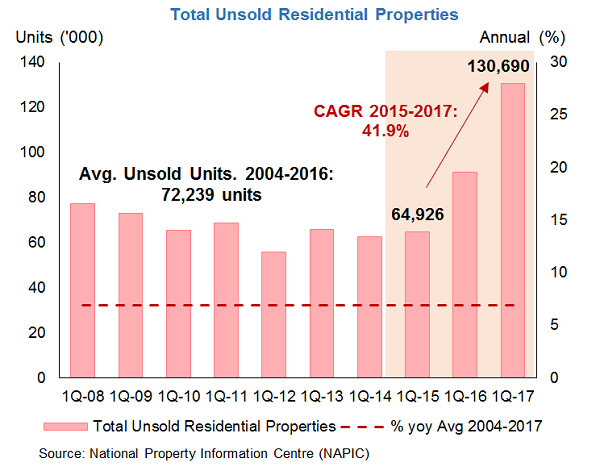 The Malaysian Reserve reports that high- and low-end properties are not expected to see any immediate rebound as affordability, excess stock, and economic and political concerns cast a dark shadow on what was once a vibrant sector. That there is a glut in the market is now a clear understatement. Data by the National Property Information Centre (Napic) revealed that there were 130,690 unsold residential properties in the country during the first quarter of 2017 — the highest in 10 years! 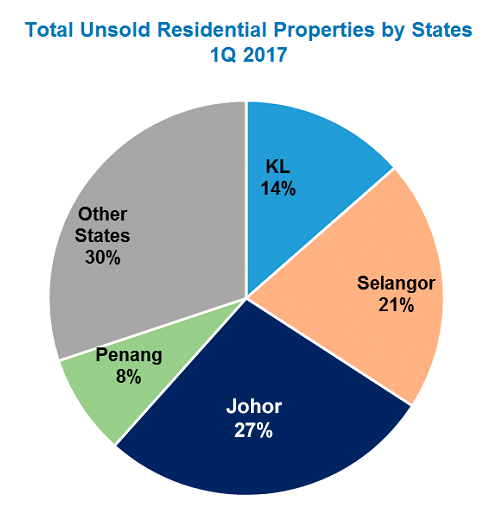 83% of the unsold units constitutes the above-RM250,000 category and 61% of the total unsold units comprise high-rise properties, of which 89% were priced above RM250,000. The value of unsold and unutilised properties comes to an estimated RM35.5 billion. And, with the impending general elections, consumers are exercising more caution in big-ticket long-term purchases. Affin Hwang Investment Bank Bhd analyst Loong Chee Wei told The Malaysian Reserve that the property market is far from seeing any recovery due to the rising cost of living and the disconnect between society’s income and affordability level. 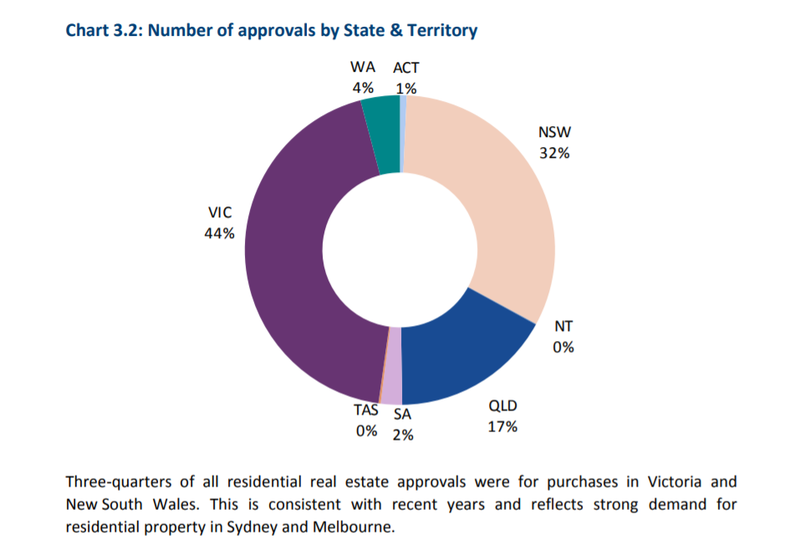 Local property investors looking to gain from property appreciation and hefty returns from the sale of properties, need to manage expectations as this year looks to be a buyers market (and a renters market). 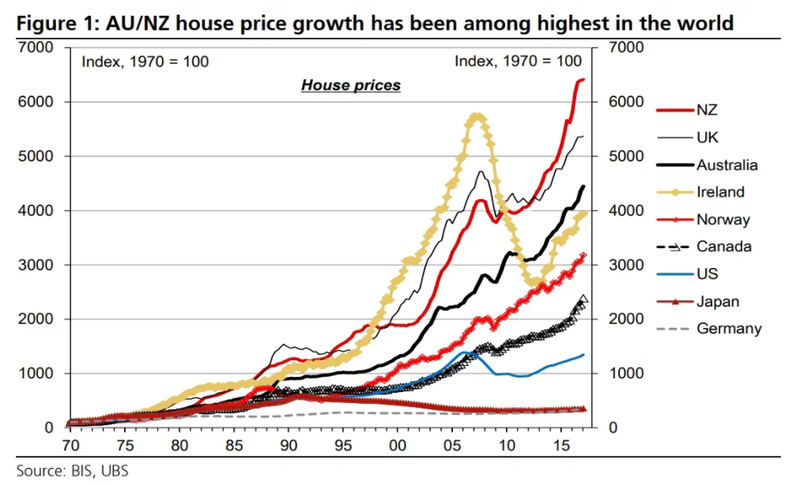 Property sales will not be as attractive as it used to be. More’s the pity, then, given the rosy Malaysian economic outlook for 2018 and the steady ringgit growth. Public Investment Bank Bhd’s research arm reports that Malaysia is slated to become the second fastest growing economy in Asean. With the local property market at an uncertainty, some investors bide their time and jump at the opportunity to invest when the price is right (e.g. offered at fire sale prices), and then hold until the property market cycle goes into an upward trend, before they sell for a profit. 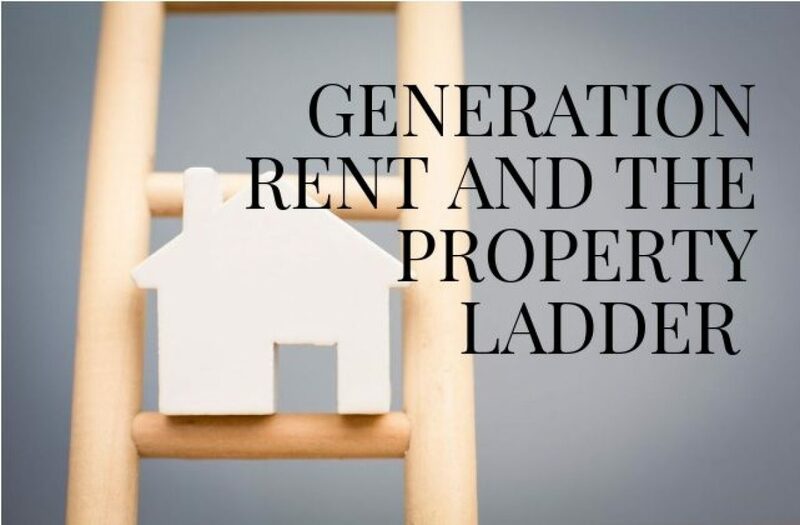 Others diversify their investments into high-yielding, growing markets overseas, such as Australia and the UK, where the currency is stronger, hence rental returns and appreciation are at a higher value than the ringgit. Unlike Malaysia, these countries are facing critical undersupply in housing due to population growth as a result of migration, jobs creation and educational opportunities. The Metro Tunnel, Melbourne’s state-of-the-art underground project is set to boost efficiency and ease congestion in the city’s transport system, while boosting property prices within the vicinity of its stations. Good news for Melbourne dwellers: the $11 billion Metro Tunnel project in Melbourne will start construction next year. Due for completion in 2026, the twin nine-kilometre tunnels will deliver a new dedicated pathway through the heart of the city. This will free up Melbourne’s biggest bottleneck by running three of the busiest train lines through the tunnel, creating space for more trains to run more often across Melbourne’s rail network. Those three lines are each among the worst in Melbourne for peak-hour overcrowding, with multiple trains per day that breach Public Transport Victoria’s load standard of 900 passengers per train. The Metro Tunnel is the first step towards a ‘metro style’ rail network for Melbourne with ‘turn-up-and-go’ train services that are the hallmark of the world’s great cities such as London, New York, Hong Kong and Singapore. Currently, commuters using Melbourne’s rail network have to rely on a timetable detailing what time trains will arrive, and plan their journeys around that. The new train tunnel will rival the underground networks of Paris and Hong Kong, with state-of-the-art signalling technology that can run trains every three minutes. The Metro Tunnel will create a new end-to-end rail line from Sunbury in the west to Cranbourne/Pakenham in the south-east, with high capacity trains and five new underground stations located at Arden, Parkville, the CBD and Domain. The five new underground stations are at North Melbourne, Parkville, State Library at the northern end of Swanston Street, Town Hall at the southern end of Swanston Street, and Anzac on St Kilda Road. The two stations under Swanston Street will be directly connected to the City Loop at Melbourne Central and Flinders Street stations. By creating a new dedicated pathway through the inner core for Sunbury, Cranbourne and Pakenham services, more trains will be able to run more often on five other lines across the metropolitan rail network. 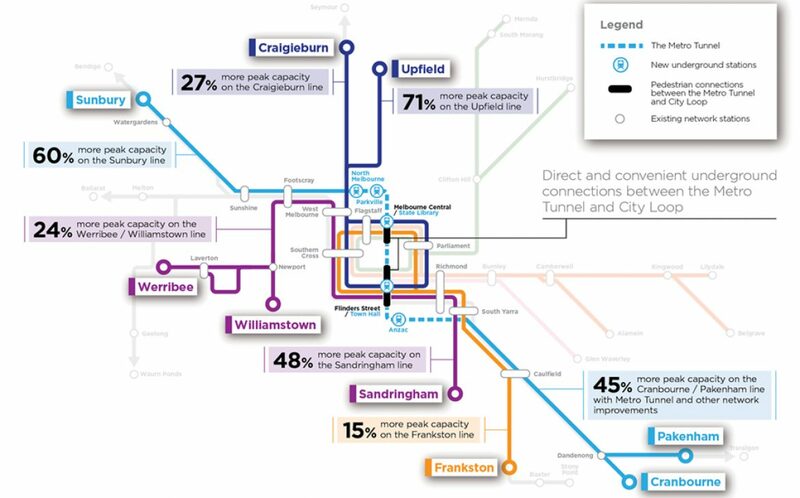 The Craigieburn, Upfield, Frankston, Sandringham and Werribee lines will all benefit from this unlocked capacity. As a result, capacity will be created on the network to enable 39,000 more passengers to use the rail system during each peak period. This will mean a less crowded and more reliable train network. More trains also means fewer cars on the roads, helping to tackle congestion in the suburbs. 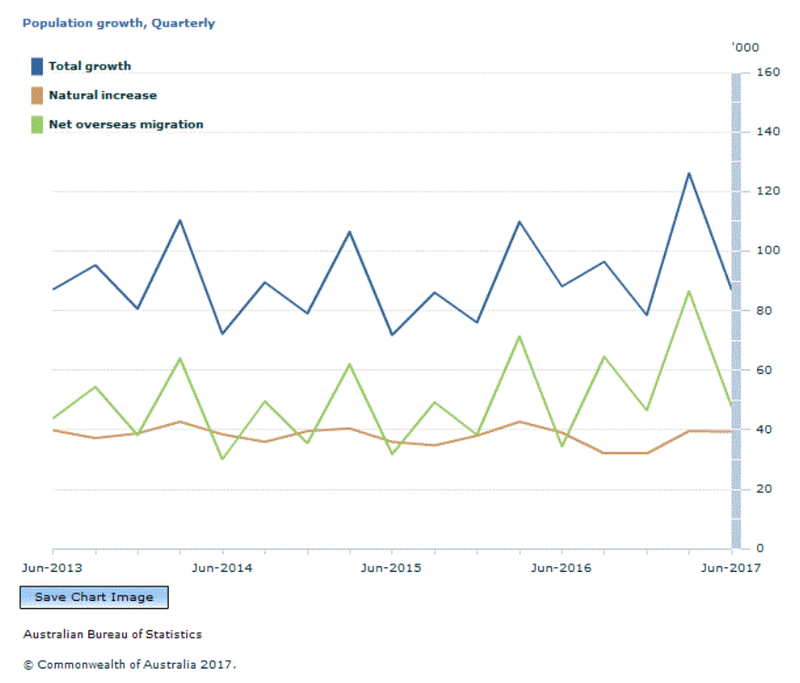 The construction and operation of the Metro Tunnel is expected to create about 7000 jobs, and increase Victoria’s Gross State Product by at least $7 billion. It will go a long way towards maintaining Melbourne’s status as one of the world’s most liveable cities. 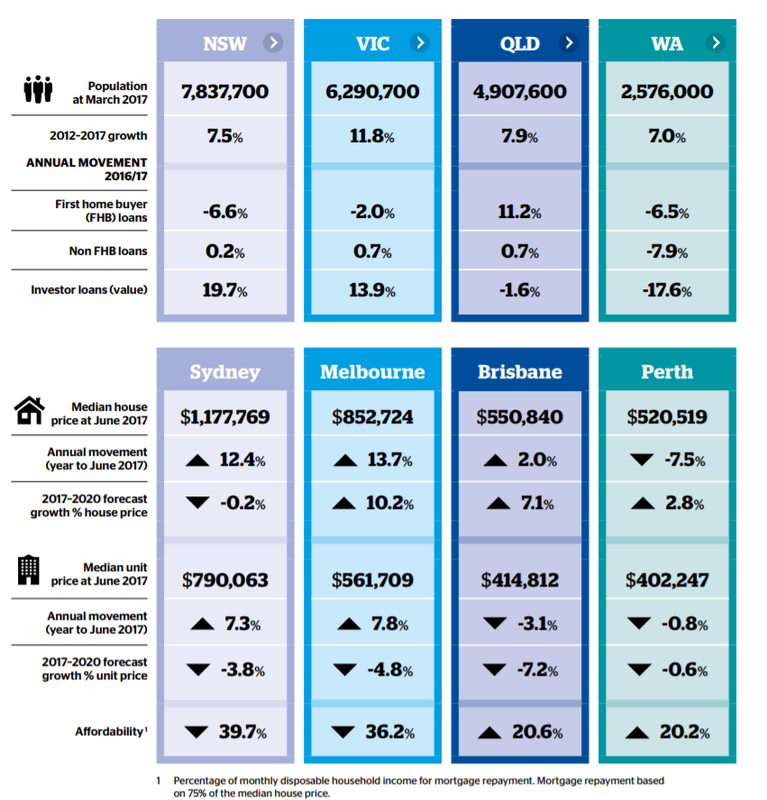 This is expected to support the price growth of property in the area, benefiting property investors in Melbourne. The recent Autumn Budget clearly demonstrates the importance that the UK Government has placed in the Northern Powerhouse as the country’s emerging economic juggernaut. Allocations have been made into the transport and digital tech sectors, giving the northern economy a huge boost in jobs creation and population. 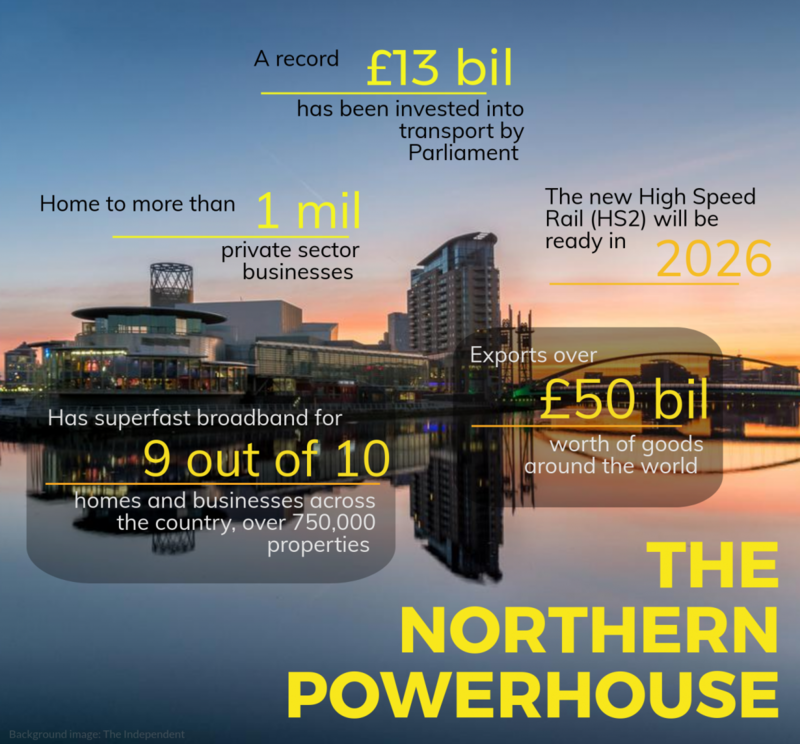 Read on to find out why investments into the Northern Powerhouse makes sense. The UK Government continues its momentum of rebalancing the country’s development focus, reducing its concentration in London and pushing it up towards the North. The importance of investing in the Northern Powerhouse to drive economic growth, has been recognised in the Chancellor’s recent Autumn Budget, with increased funding announced for infrastructure across the North. The Northern Powerhouse, an initiative by David Cameron’s government, was established to boost economic growth in the North of England, particularly in what is termed as the “Core Cities”, namely Manchester, Liverpool, Leeds, Sheffield, Hull and Newcastle. Its aim is to reposition the British economy, shifting the traditional focus from London and the South East, to the North. 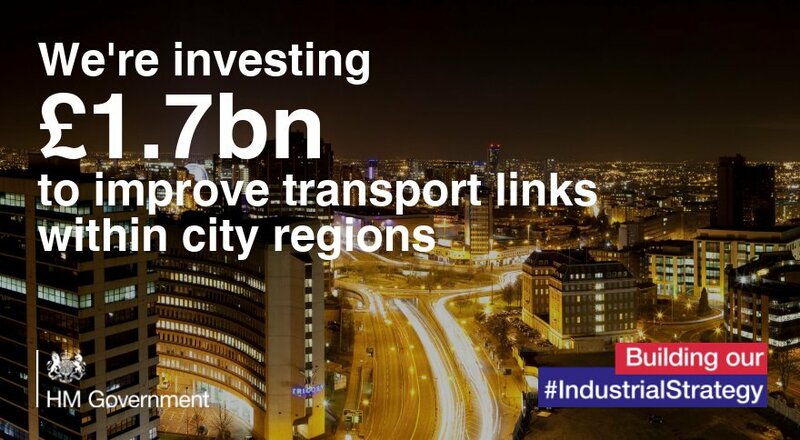 In the Budget, Chancellor Philip Hammond promised a £1.7bn Transforming Cities Fund to improve transport links between suburbs and cities outside of London. 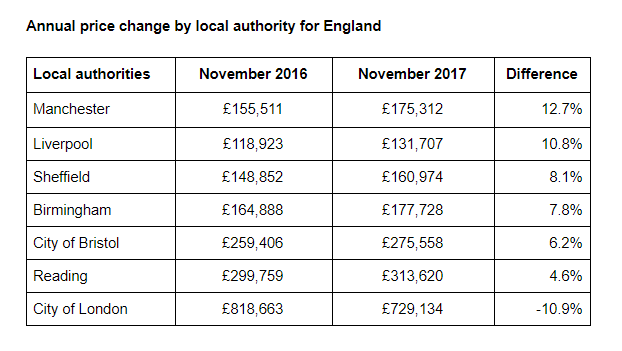 Half this amount will go to the six combined authorities with elected metro mayors, including £243m for Greater Manchester and £134m for the Liverpool City Region. The other half will go to the other cities by way of bidding. The fund is designed to address weaknesses in city transport systems in order to spread prosperity by improving connectivity, reducing congestion and introducing new mobility services and technology. In practice, it will mean spending on improving buses, trams, cycle lanes and other initiatives in the regions. Transport links are important to drive the regional economy, allowing growing businesses to tap into the local workforce. As the economy develops and cities expand, demand for housing will grow with the population increase it brings. 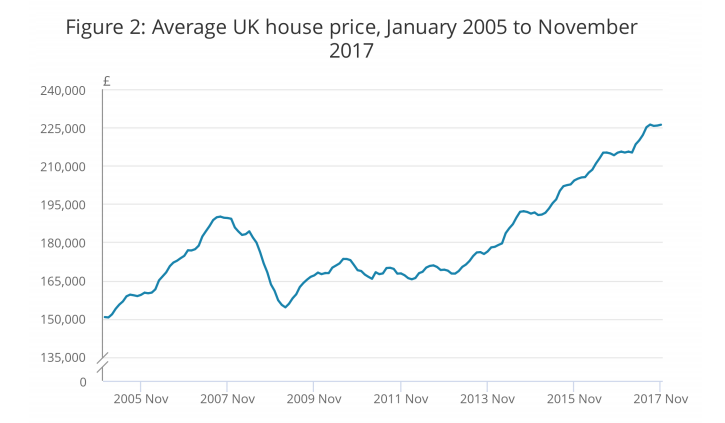 This makes property a favourable investment to make, especially in the light of the severe shortage of housing in the UK. Additionally, the fund will allow links between the new High Speed 2 (HS2) stations and local transport networks, complementing its development in improving movement throughout the regions. The HS2 is a planned high-speed railway in the United Kingdom which is poised to be the new backbone of the national rail network, linking London, Birmingham, the East Midlands, Leeds and Manchester. A sum of £300m will go towards ensuring that the HS2’s infrastructure can accommodate future Northern Powerhouse Rail and Midlands Connect services. This would enable faster services between the Northern cities of Liverpool and Manchester, Sheffield, Leeds and York, as well as towards the East Midlands and London. Chris Grayling, the Secretary of State for Transport said: “Investment in transport is crucial to a strong and resilient economy. 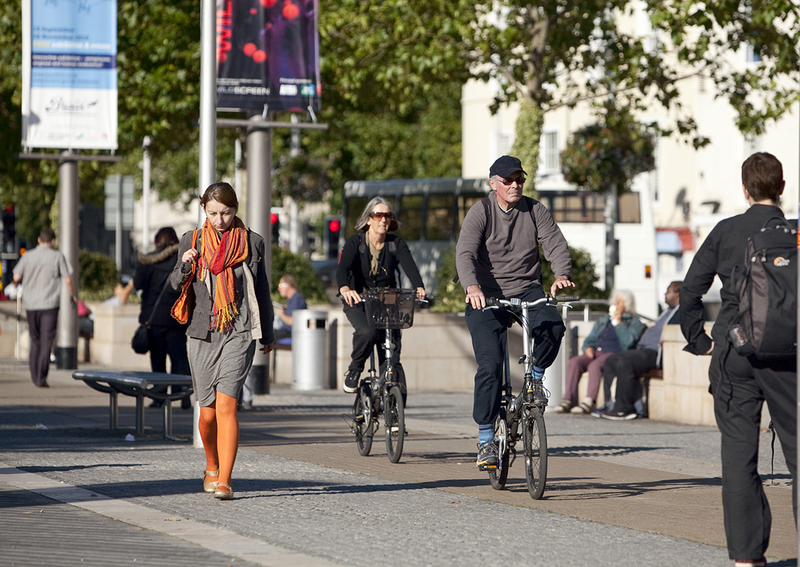 The Transforming Cities Fund will drive productivity and growth in cities where this is most needed, connecting communities and making it quicker and easier for people to get around. The Industrial Strategy is Prime Minister Theresa May’s road-map for boosting productivity growth and encouraging investment in the UK, to help deliver a “stronger economy and a fairer society”. On the other hand, the Midlands Engine is the initiative to drive economic growth in the Midlands regions, in cities like Birmingham, Stoke-on-Trent and Nottingham — the Midlands’ equivalent to the Northern Powerhouse. The Chancellor also announced additional funding for development projects in the North, targeted towards the business, technology, research and development sectors, building upon work done previously. 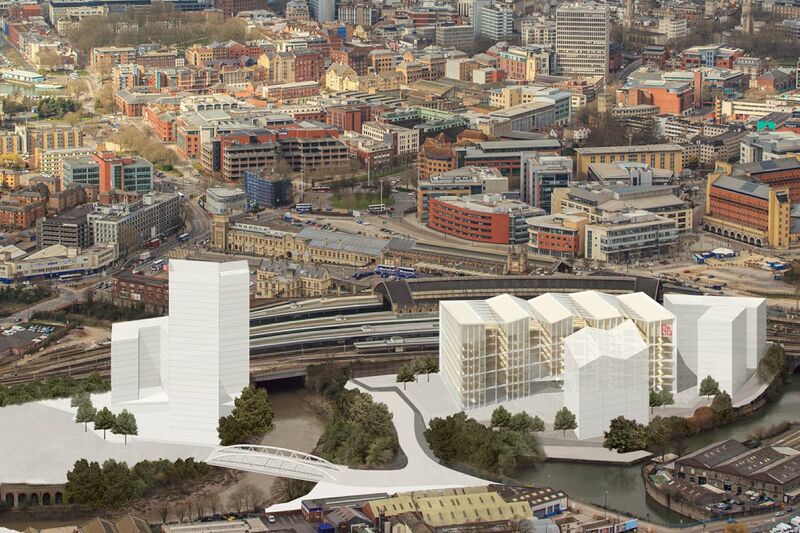 The Tech City scheme will be expanded nationwide, and is set to receive £21m in funding over the next four years. 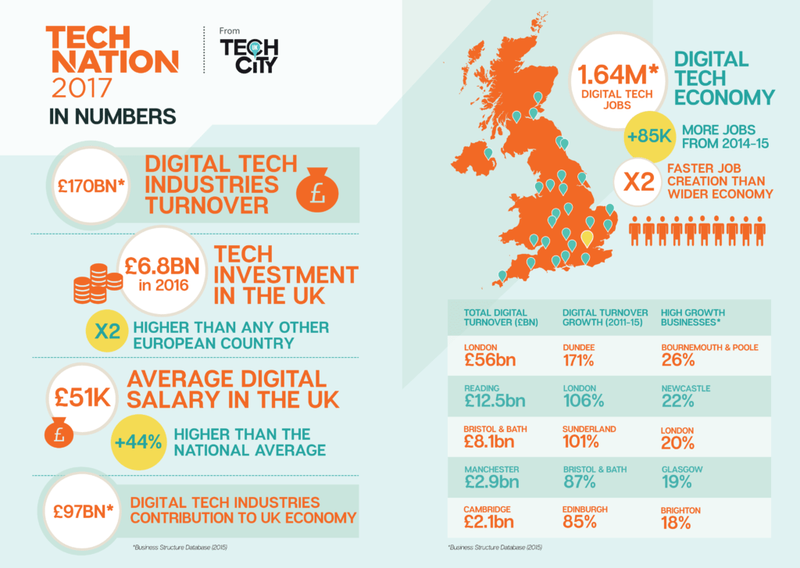 Tech City was started in London in 2011 to accelerate the growth of the UK digital tech sector, through a series of programmes, research and events. Since its launch, the scheme has helped the digital tech start-up and scale-up sectors become the UK’s fastest growing industry. The UK tech sector had a turnover of £170 billion in 2015, an increase of 22% in five years. More than 1.7 million people now work in the digital tech sector and jobs are being created at twice the rate of other sectors in the economy, 85,000 of which were created from the past year alone! In line with its new focus, this scheme is renamed to Tech Nation, and aims to bring jobs, skills and higher productivity to the regions. Leeds and Sheffield will become home to a Tech Hub, which will support businesses and enable skills in the area to thrive and prosper. The Chancellor also extended the National Productivity Investment Fund for a further year, expanding it to more than £31bn. The fund was a £23bn fiscal stimulus introduced by Hammond in 2016, to tackle the UK’s poor productivity and lower growth forecasts resulting from Brexit. A further £2.3bn is being allocated for investment in research and development, while £500m of investment will go into a range of technological initiatives ranging from artificial intelligence (AI) to 5G and full fibre broadband. In furthering devolution for the regions, the Chancellor also announced a new deal for the North of Tyne region, a new combined authority comprising the Newcastle, Northumberland and North Tyneside councils. Devolution is about giving more governmental powers to the local authorities for regional self-government. A mayor will be elected for the combined authority of North of Tyne and he or she will be able to exercise these devolved powers. The North of Tyne will elect their mayor in May 2019. The focus of this devolution deal is to create “more and better” jobs in the Northeast. Initial analysis finding 10,000 jobs could be created, 25% of which would be south of the Tyne. £337m will go towards the Tyne & Wear Metro, which is vital funding for it to replace its ageing trains. 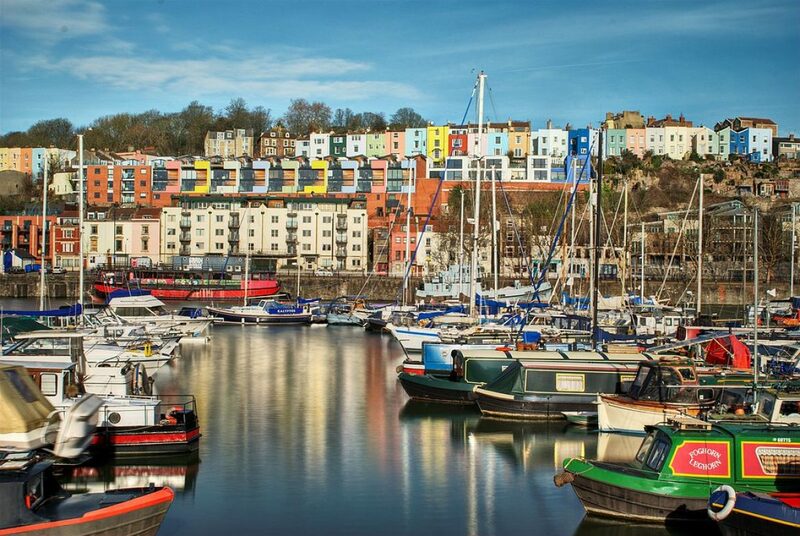 In the aftermath of Brexit, the UK is mobilizing its economy in a massive push towards economic development, with emphasis on building the regions. 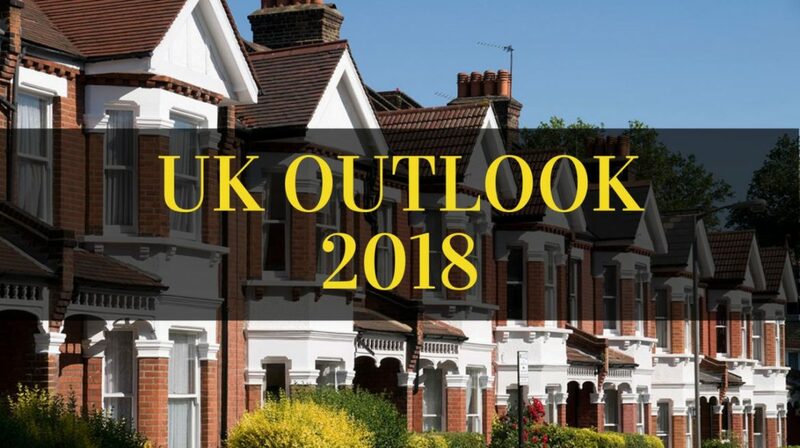 For investors this will mean a strong outlook for the property market in the UK outside of London, and new regional property developments are particularly attractive investments. Part 2 of the Care Homes Article Series. Read Part 1: The Ageing Population in UK here. The UK care homes market faces an imminent crisis due to a national shortage, creating increasing opportunities for investors and generating a truly global appetite for the sector. The sector has been named the stand out asset class of the year by Knight Frank. Statistics show that old age is closely linked to debilitating illnesses such as dementia and Alzheimer’s Disease, causing an increase in the need for care homes and assisted living. The UK has a growing ageing population, with new research by the ONS revealing that 1 in 4 people will be aged 65 years old in less than 30 years. Of this population, there are approximately 850,000 people with dementia. With better diagnosis and rising life expectancy rates, numbers could exceed 1 million by 2025 and reach 2 million by 2051, when 1 in 3 people over 65 years will have the disease. Today, dementia is the leading cause of death in England and Wales, replacing heart disease. What is now a grave concern is the inadequate supply of proper care homes and facilities to cater to the increasing number of aged citizens, particularly those afflicted with dementia. Currently, only about 416,000 people live in care homes (Laing and Buisson Survey 2016) in the UK. This constitutes only a meagre 4% of the population aged 65 years and over, and 16% of those aged 85 and above. Clearly, the UK care homes sector is facing a national crisis — an issue that Knight Frank’s UK Healthcare Development Opportunities 2017 report attributes to a nett loss in homes and beds. This is a trend that is likely to continue for awhile. A survey of UK local authorities by the Family and Childcare Trust confirms this: 4 in 5 UK local authorities have insufficient care for older people, particularly those with dementia. And only ⅓ of councils had enough nursing homes with specialist dementia support. The Economist published an article revealing fundamental and systemic flaws, explaining that the care home market has not responded to demand, and, even when built, are often not located in the right places. ‘It is hard to get an old-people’s home built. Local authorities are not always willing to grant planning permission, especially when a plot could be used more lucratively, such as for shops,’ the article states. The fact is, dedicated care is very costly. And, understandably, social care provided by councils is quite tightly rationed, as local authorities can only provide help to those with very high needs. 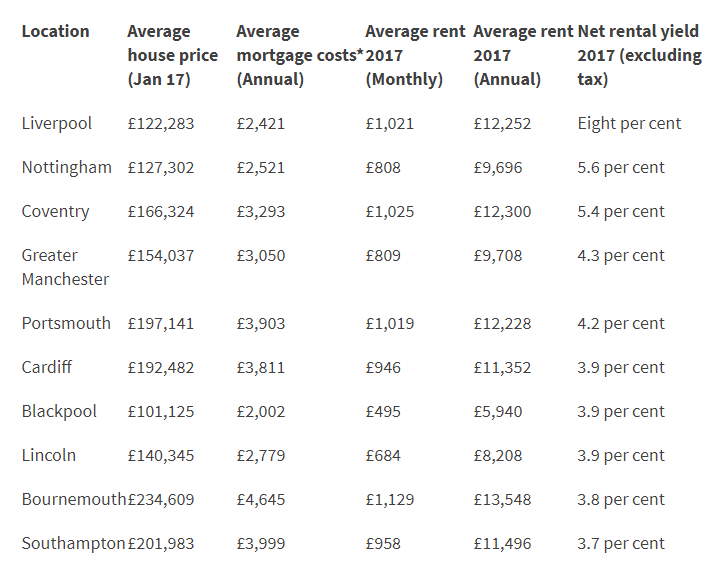 Currently, only those with low means — under £23,250 in savings and, in some cases, the value of a home — get help towards their costs. The rest have to pay all their care costs, which could exceed £100,000. “The disparity of care bed supply and demand presents increasing opportunities for investors, and, combined with the fall in the sterling, has generated a truly global appetite for the sector. 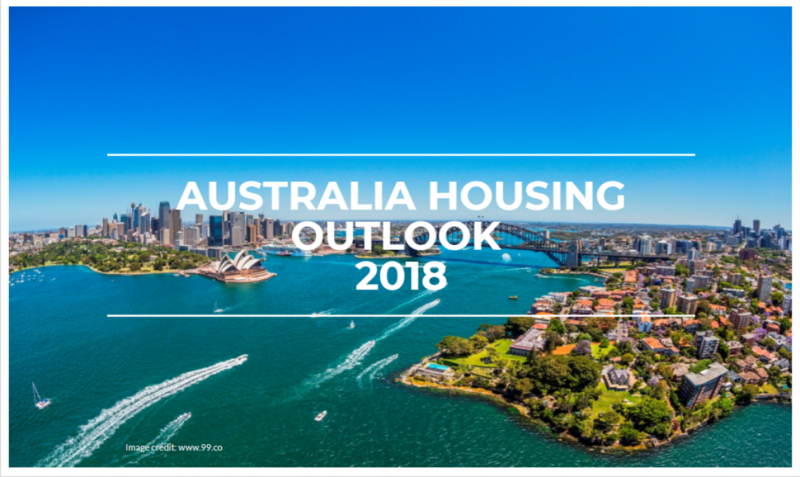 “The care home sector is likely to be the stand out asset class of 2017, particularly for those investors wishing to diversify their asset portfolios in the current uncertain economic climate,” he explained. Just like residential property and student property in the UK, the law of economics applies to UK care homes investment — with low supply and high demand, as well as the average cost of ₤574 per week at a care home facility, returns are pretty impressive. Some projects offer up to 8% nett yield (after all expenses) for up to 25 years, as well as an exit clause. For many investors, the exit clause is part of the investment attraction. Some of the care homes investment projects in our portfolio offers an exit/guaranteed buyback at years 10, 15, 20 and 25. “Indeed, retirement living has fundamentals for growth, and makes a great investment opportunity. With the ageing population thrown in to the equation, care homes investment could be the next student investment,” said CSI Prop spokesperson Virata Thaivasigamony. For information on care homes investment, contact us at 016-228 8691 or 016-228 9150. 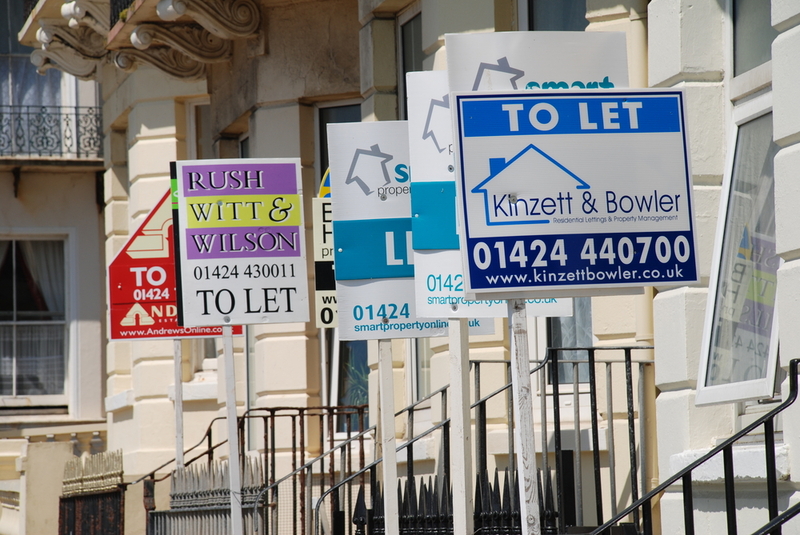 The Landlord Licensing scheme has recently taken effect in several cities and boroughs in the United Kingdom. The scheme, which is also known as selective licensing, sets out to ensure that landlords are “fit or proper persons”, and that the buildings being let out are fit for occupation. If someone cannot meet the ‘fit and proper’ landlord criteria the scheme sets out, they will be refused a licence. Despite having been introduced in certain areas recently, it is not new, and was provided for by the UK Housing Act 2004. Nonetheless, enforcement of Landlord Licensing is still in its infancy. Several city councils, for example, Bradford, Luton, Stoke & York have yet to implement the scheme (as at time of publication), whilst Liverpool and Manchester enforced the scheme in 2016 and 2017, respectively. Selective licensing really is an attempt to improve the rental market by raising standards and helping to identify non-compliant landlords and management agents who do not invest in their properties or manage them properly. Areas are designated for selective licensing upon the discretion of the local council. Often a scheme will only cover certain wards or areas of a city, and under new rules only 20% of a council’s area can be selectively licensed without a special application being made. A scheme lasts for five years and can be renewed if the local council deems it necessary. Right now Liverpool is running the scheme citywide, while Manchester has introduced licensing in only some parts of the Crumpsall, Moss Side and Rusholme areas. Landlords in London can use the London Property Licensing website to find out whether they are in an area covered by a scheme, but there is no countrywide list of schemes. Checking with the local council is the safest strategy. 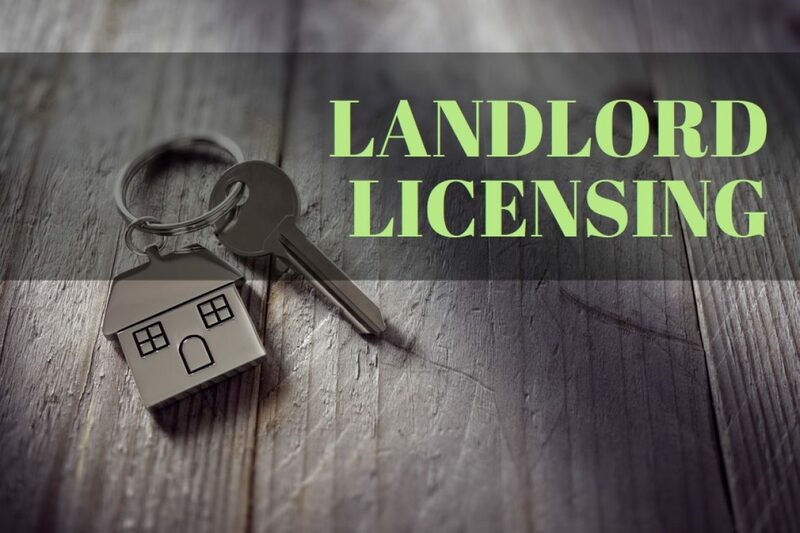 Where selective licensing applies, then normally all houses within the private rented sector for that area must be licensed, except where they require to be licensed as HMOs (houses in multiple occupation). Licensable HMO properties are properties with three or more storeys, and are occupied by five or more tenants not from a single household. Non-licensable HMOs must be licensed under selective licensing. Each local council sets their own licence fees and discounts, and the licences last until the end of the 5-year period. In Manchester the licence costs £650, with each additional licence costing £550. Liverpool charges a fee of £400 for the first, with each subsequent licence costing £350. In Liverpool, properties managed by professional managers who are members of one of the council’s approved co-regulation organisations (e.g. the Association of Residential Lettings) are entitled to a 50% discounted fee. This means that investors of property developments like Queensland Place and Parliament Place need only pay £200 for the licence. If the property consists of en-suite units in a cluster sharing a common living area, only a single licence is required for the whole cluster. Student accommodation is a good example of this. This means that cost of one licence can be divided amongst the individual units, greatly reducing the price of licensing. This is good news for investors in student accommodation. The more units one cluster has, the greater the division, and the lower the cost of licensing. However, studio apartments with no common living area will require a single licence for each individual apartment. The local councils are taking this very seriously. In October last year, a landlord in Liverpool was fined £1,500 due to his failure to obtain a licence.